In due course of this article we will help you to make use of the Team Win Recovery (TWRP) as it will allow the users to install the custom ROM firmwares in HTC Hero smartphone. Full credits goes to the XDA Recognized Contributor jordfaz has come up with this TWRP recovery porting workaround. 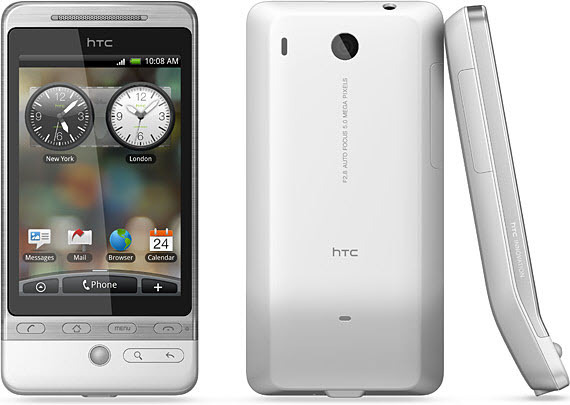 The popular “touch recovery” has been on fire of late, being ported to a large number of devices and now it is available for HTC Hero. To install this TWRP based touch Recovery you need to root your device first. Once you have rooted then it will be easy for you to update your device with Custom ROM firmwares. We will be coming out with various custom ROM firmwares in the coming days. If you are not sure your device is rooted or not then download the “Root checker” app from Google Play Store and check the same. If your device is not rooted then do that immediately. DISCLAIMER : Follow the instructions at your own risk. If you do not follow the them properly and if any damage occur to your device, we even the developer won’t be held responsible for that. Once you have created a backup of the data, move all the backup files to your computer so that they are safe. So, once you have done all the above mentioned instructions head over to the next step which we have given where we summed up the detailed procedure on how to apply this recovery process. First download the TWRP Recovery image in your computer, connect your device to the computer with the help of original USB Cable and place the zip file in your device. Once the file is placed, disconnect the phone and turn OFF the device so that it can be entered in the recovery mode. The recovery mode in HTC Hero can be entered by pressing the Volume Down button + Power Button till you see the recovery mode screen on your phone. In recovery mode, select “Install zip from SD Card” > “Choose zip from SD Card” and then choose the placed TWRP Recovery image. Once the file selection is over, the firmware will be applied within 2 minutes, you can see the progress of firmware update with the help of a progress bar. Once it has been finished, the device will be restarted. NOTE : In case if your device refuses to turn ON or say if it gets stuck on the Samsung Galaxy Logo then you need to long press the power button to turn OFF the same or reinsert the battery to start the process from the start. So, that’s it there you go, the touch based TWRP mode has been successfully installed in your HTC hero android device.